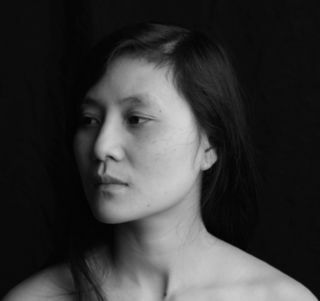 Vi Khi Nao is the author of A Brief Alphabet of Torture as well as the novel Fish in Exile and the poetry collection The Old Philosopher , which won the 2014 Nightboat Poetry Prize. Her work includes poetry, fiction, film, and cross-genre collaboration. How rare, how wonderful, when a book arrives with the ambition and desire of this one, such a complete set of interests, fully lacking the pitfalls and pratfalls which typically characterize its innovative ilk. The work is animate in its aims, pressing you to go on. Speaking as someone who has seen what it can do, I’d suggest you do as it says. An unflinching and riveting meditation on the pain that attends every facet of existence — love and sacrifice and intimacy and beauty — a biography of torture. 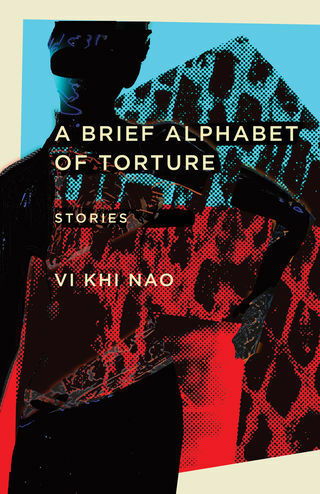 Like all of Vi Khi Nao’s acclaimed and award-winning work, A Brief Alphabet of Torture bleeds across many modes and genres — poetry, essay, fiction, drama — and itself almost constitutes a novel of a different kind. Each tale captures the emotional, physical, psychological, political, and artistic concerns that pervade life like breath and which, even when very beautiful, are filled with pain. These stories are all facets of Nao’s imagination that define the way she views creation, sexuality, violence, and the role of life in an ontological system that relies heavily on cultural, social, and artistic duress. Some stories like “Winter Rose” and “I Love You Me Neither” rise above the boundaries of pain to places of beauty and grace and love, where pain has no place, but make clear how rare such moments appear in life. Donald Barthelme said that he wanted to be on the leading edge of the junk phenomenon, and with these exquisite effervescent, eviscerating fictions of A Brief Alphabet of Torture , Vi Khi Nao is out there with him, whittling away at the whole anatomic nominative scrapheap of our layered and laminated lexicon. Edgy, you bet! These pieces are elaborate piecework — perforated, whip stitched, and distressed field-dressed dissections of language. Tortured? Maybe. But lusciously junked and juxtaposed, turned inside out and every which way but … No, in every way they make way. These tales tax and tantalize, a taxidermy of turnt transcendence.